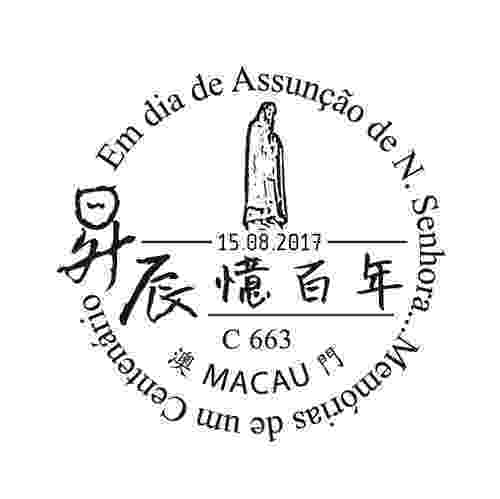 To commemorate the exhibition of “Centenary Memories on Assumption”, Macao Post and Telecommunications Bureau announces that a Temporary Post Counter will be set up at Macao Lush Valley Creative Space, Rua de Sanches de Miranda No.18 G/F, from 13H00 to 16H00 on 15th August 2017 providing the commemorative postmark cancellation service for the “Centenary Memories on Assumption”. 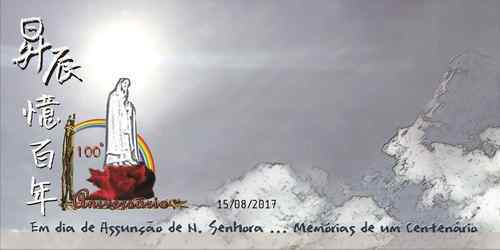 On that day, Macao Lush Valley Creative Space will sell the commemorative envelope, priced at 20.00 patacas at the mentioned location. The revenue will be for the charity purpose.